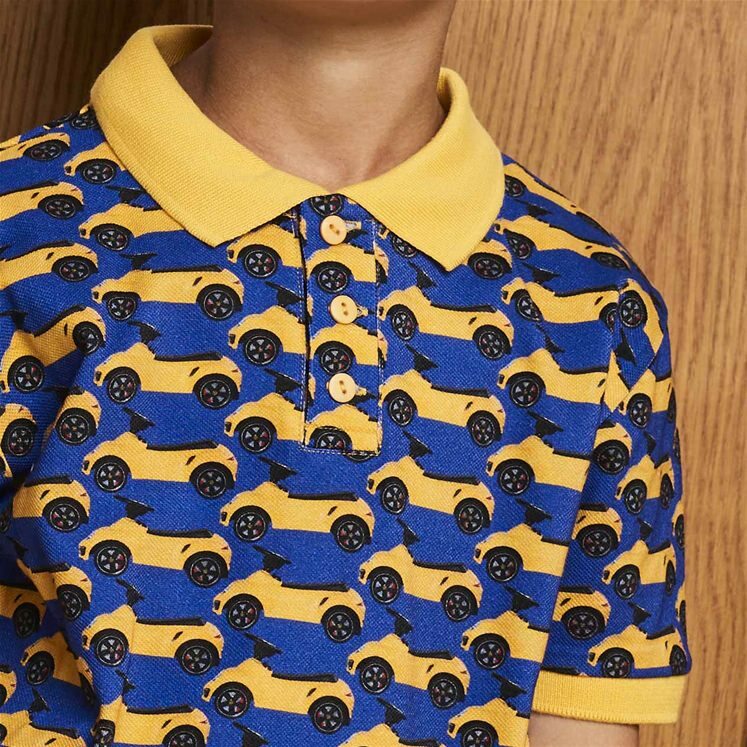 Children's patterned cotton pique polo shirt in blue, with contrasting yellow cuffs and collars and a repeated toy car design. In sizes from 2-16 years. 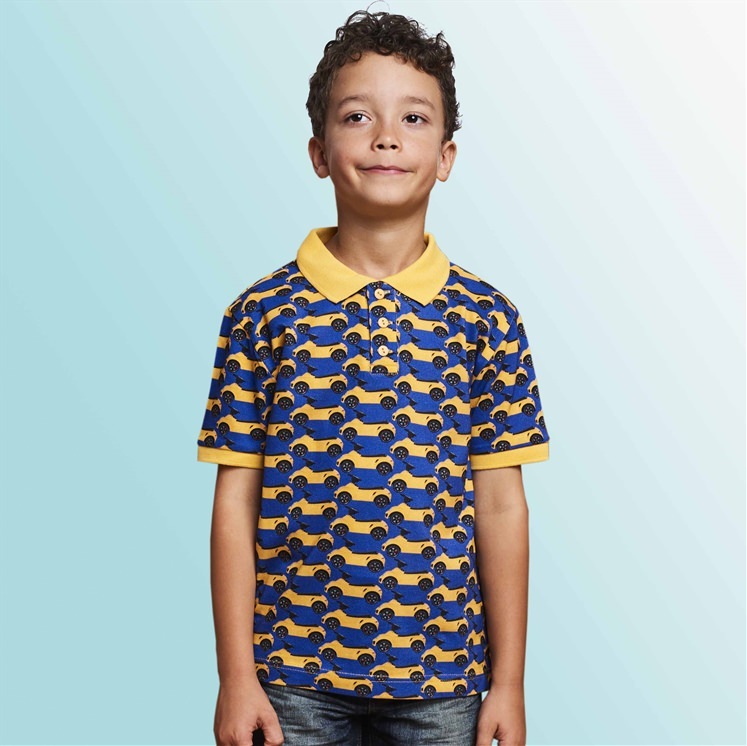 This childrens polo shirt has been designed by Gresham Blake in collaboration with Childrensalon.com.